Unlike all other genealogy resources combined, just one newspaper obituary can pack enough power to solve any family’s most puzzling mysteries once and for all. 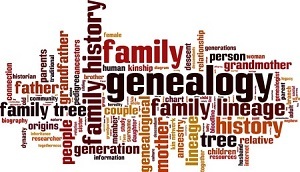 A single obit published centuries ago often lists several dozen distant linear ancestors’ names. Even better news, such infinite leverage exists quite literally at one’s fingertips. Nowadays, billions of online newspaper obits are easy to access via one mouse click. Like any specialized novel tool, however, extracting full value from virtual newspaper obituary venues entails learning unique details about tricks of the genealogy trade. Below are but a few valuable insider tips to get true goods from virtual obituary venues that help build the greatest family trees in history. Don’t stop at basic details like date and place of death and surviving next of kin. Rather, mark those traditional intros as starting reference points for more in-depth research. Focus further efforts on reading to find subtle hints that hide between visible markers. Major examples are marital status, life accomplishments, funeral home and close friends’ names, cause of death, coroner’s inquest details or occupation. Such information is highly valuable for expediting future research efforts by exposing most fertile sources early on. After finally locating the desired ancestral newspaper obituary, move right along to an entirely new height by expanding linear time frames that offer bright outlooks with broader horizons that contain exponentially greater potential for hitting pay dirt fast. For instance, the best odds of success might come from burning the same candle you desperately seek at both ends with a quest that extends several days or a week before and after the actual death occurred. This may lead to vital data printed on a debilitating illness, acute disease or freak accident just prior to the date an ancestor died. Such a discovery naturally leads straight to even more detailed original sources like old hospital or doctor’s office records, additional news reports, etc. In many instances, additional names included in newspaper obituaries are those of family members who didn’t actually survive the subject decedent. Likewise, always look for ‘insignificant’ names like those belonging to pall bearers, neighbors or non-related funeral attendees. It’s amazing what these ‘minor’ details can reveal. Two very huge obituary research challenges pertain to widows listed by the same surname as their deceased husbands’. That presents a major obstacle to finding details about current wives who were previously married several times. This can often be overcome by looking for data like the last names of a widow’s male relatives. Likewise, be sure to distinguish family from close friends by closing looking for relationships like coincidental professional or civic group membership. In 2014, FamilySearch.org and GenealogyBank.com decided to join forces for the sole purpose of creating the Web’s single biggest newspaper obituary source. Dubbed by media as ‘largest … most significant online U.S. historic records access initiative yet,’ this massive joint effort conceived a mega brainchild portended to spawn several billion obituaries compiled from over 100 million American news sources. Future-generation “grandbaby” databases are planned as fully searchable and contain newspaper obits published in every State throughout the U.S. Besides big size, unhatched offspring will feature content dating back to 1730 and beyond to the current date. A final shared family attribute will be the sheer enormity of coverage that encompasses 85% of all U.S. death events during one-decade prior.